How do you approach branding a sensitive topic in a way that’s meaningful and inspires confidence? This is the challenge that healthcare organizations face when it comes to marketing their product or services. Healthcare providers and entrepreneurs might think, marketing is for making money not for making an impact. But, that’s where they’re wrong. In today’s information overload and hashtag filled world, strong and consistent branding is as essential as ever. A strong brand can help you reach more people, faster, and inspire loyalty especially in a high-trust industry like healthcare. Healthcare has changed over the past few years. Like other industries, it’s become consumer-driven. Patients, providers, and anyone else who purchases healthcare or devices have developed a superpower. The superpower of knowledge. Google receives a massive amount of searches every day, but did you know that 5% of all Google searches are health related? (according to MD Connect) This means that every day millions of people see healthcare branding. They are either seeing you, or your competition. Branding represents the personality and promise of your products and services — the way you look, feel, act, and deliver. The first thing that most of your patients, customers, or investors will see isn’t your facility or staff, it’s the branding on your website. It is absolutely essential to have a memorable identity. To be quickly perceived as professional, modern, and trustworthy. First impressions set the tone for next steps in your relationship with a potential patient, buyer, investor, or hopeful family member. Differentiate yourself from the competition: Healthcare services, pharmaceuticals, and medical devices are frequently treated like commodities. They all seem more or less the same. A strong brand shows how you’re different and makes you seem like the higher quality solution. This is why many people choose name brand painkillers for their headache over generic. Attract investors and partners: A developed brand shows that you understand your purpose and goal. You aren’t just another company competing in a noisy space. You’re on a mission. Investors and partners will be more willing to work with you when they know you’ve got your stuff together. Build around your core values: People want to know what your values are. They want to see if you care about what they care about. A strong brand lets you share your values with consumers and with your own employees. This can help you attract the right people to your healthcare brand and motivate your team based on your core values. Set guardrails for your marketing team: A strong brand will make it easier for your marketing team to create messages and visuals that are on point and consistent. Your brand guidelines can also prevent them from publishing anything that could damage your brand’s reputation. Charge based on the value your brand provides: A strong brand can allow you to break away from being treated as a commodity. Your brand, values, and approach are unique to your company and could be exactly what consumers need. With a strong brand you’re not selling a commodity, you’re selling peace of mind. When you don’t have a clear brand for your healthcare or biotech company, you run into a lot of risks. Weak branding makes it hard for customers to recognize you or become repeat customers. You can get lost in the sea of competitors. It will be more difficult to get support, funding, or partners. It’s nearly impossible for people to emotionally cement a positive connection in their brain, if you don’t have a consistent way of presenting your brand at all touch points. The worst part about not having a brand is that it will hamper you at every turn. If you don’t have funds, adoption, or patients you won’t be able to fulfill your mission. You’ll be a healthcare company that can’t help people effectively. Want to chat with an expert? Contact us for a free initial consult. What should your healthcare brand identity include? If brands are so important, then you need to make sure that yours is complete. What are the essential elements of your brand identity? Logo: Your logo or wordmark (how you company name is presented in marketing) is the core of your brand. It represents what you stand for and can communicate it in seconds. This is the first element of a strong brand identity. Color scheme: Your brand colors create the feeling and tone of your brand. Strong colors can help consumers recognize your brand instantly. Think of how FedEx uses purple and orange to quickly identify themselves. You should also include the colors that complement your brand colors, such as background or contrasting colors. Typography: Text is used on your ads, website, documents, and designs. Having defined fonts for headings and body text is another opportunity to strengthen your branding. Illustrations and photos: Extending your brand to illustrations and photos adds wonderful details to your branding. Think of Dropbox’s clean, approachable illustrations. Creating an icon set for your brand is extremely helpful for making your website, ads, guides, pitch decks, and ebooks more memorable. You can also define guidelines for the photos or illustrations your brand uses. Logo/Wordmark variations: To use your logo consistently in a variety of circumstances, it’s best to provide a few options. For example, most brands will have a logo-only design and a logo and wordmark design. In addition to a full-color version of these two variations, you should also create an all black version and another in white. This will give your designers flexibility, but it won’t jeopardize the consistency of your brand. The best logos stand strong even without color because they have a strong and memorable form. These are the absolute must-haves for a strong brand identity. Now we know why a healthcare brand is important, why it’s dangerous not to have one, and what elements it should include. The next big question is: how can I create my brand? We’ve organized the process into three steps for you. Let’s look at each one. This stage builds the foundation for your branding. It’s the key to making sure that it’s solid through and through. Unfortunately, research is often the first thing most companies cut down on to save money. This is a bad idea, since not doing your research can cost you big time long-term. During this stage there are three important variables for you to understand: your company, your customers, and your competition. When you can really understand these three, then it’s easier to know which direction will be true to your company, resonate with your customers, and make you stand out from the competition. Brand Sprint: This exercise was developed by Google Ventures to help startups hit the ground running with their brand. It includes determining what your brand’s core values and personality are. It will also help you take stock of the competitive landscape and think more deeply about your customers. It’s the perfect first step for creating your healthcare brand. Buyer Personas: These are semi-fictional representations of your ideal customer. You want to make these as realistic as possible so that you can imagine how your customers will react to any situation or branding decision. Since creating buyer personas requires you to go out and speak to actual prospects, it can provide insights that you wouldn’t get by staying in the office. S.W.O.T. Analysis (strengths, weaknesses, opportunities, and threats). It helps you to identify your brand’s differentiators and place it on the competitive landscape. It’s an excellent way to understand your company and the competition better. What are my brand’s core values? What things do my customers want/care about the most? What opportunities do I have to differentiate myself from the competition? When you create your branding, try to keep it aligned with your answers. This will give you the best chance for success. It’s time to put your newfound knowledge to good use. Your job is to create as many branding concepts as possible that fit what you want your brand to be. By following a few exercises, you’ll be able to start translating your research into great visual concepts. Create a “map” based on your core values, as well as the benefits you offer and the pain points you solve. Start by putting your keyword in the center of a whiteboard or page, then create branches of associated words. Try to stretch this as far as you can until you run out of ideas. Now look back over your words, discuss the ones that are most impactful, intriguing, and descriptive. Next use the best words and concepts that you’ve found and start sketching some ideas. You should ideally do this in black ink on white paper or a black marker on a whiteboard. This will help you focus on creating a design that’s strong in black and white and in color. This is also a perfect time to pull in more members of your team and get feedback and ideas. Iterate quckly and don’t worry about perfection at this stage. Once you’ve developed a few strong logo and wordmark concepts. Think about your brand colors. Which colors will personify your brand and help you to stand out from the competition. Pick a strong color to use as your main color, such as blue, red, orange, green, etc. Then think about a complementary color that’s more muted. Could even just be grey. Now open up a Word or Google document and type in your company name and tagline. Start playing with the colors you’ve chosen until you find the shade that you like. In the end, make sure to keep track of the hex color values such as #27AAE1. If you’re feeling really ambitious, start pulling together photography and illustration styles that align with the look and feel your audience is seeking. The easiest way to do this is visit a stock photo website like Unsplash or Getty Images. If you haven’t already, get a professional brand designer in the room at this point. First, explain your research and goals to your designer so that they have a clear understanding of what you need. Second, share your whiteboard sessions, color choices, logo concepts, and photo styles. 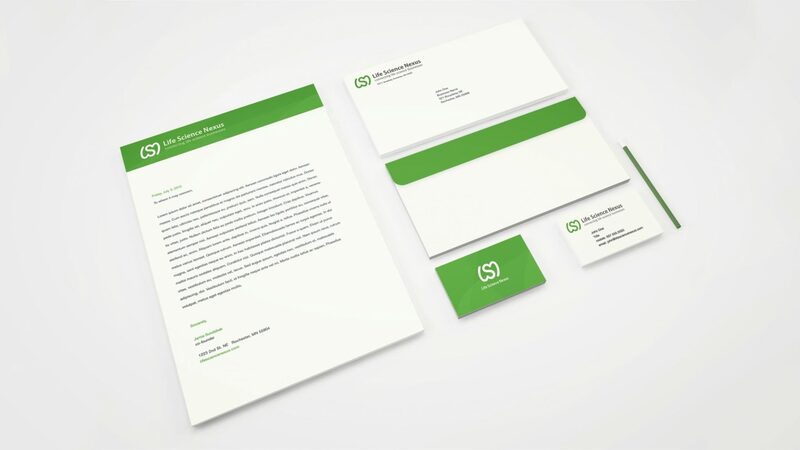 Give them a good feel for how you envision your branding. A good designer will listen and ask good questions before diving into next steps. Your finished logo with and without the wordmark, with variations in color, black, and white. A color palette that shows your brand colors and any complementary colors. A typography style that uses properly licensed fonts. An icon set and any other custom illustrations that your brand needs. Acceptable uses for each variation of your logo and branding. Once these brand essentials have been created, you’re ready to build your healthcare brand style guide. Take a look at some of the best healthcare brands in the world if you feel stuck, such as Aetna, CVS, Johnson & Johnson, Mayo Clinic, Medtronic, UnitedHealth Group, and Walgreens. Your new or refreshed brand style guide is what will help your team use your brand consistently across all customer touch points. From research, to brainstorming, to production, creating a meaningful healthcare brand is a lot of work. BrandHoot provides expert design and brand strategy support to existing and upcoming healthcare organizations. We would be happy to schedule an initial consult.